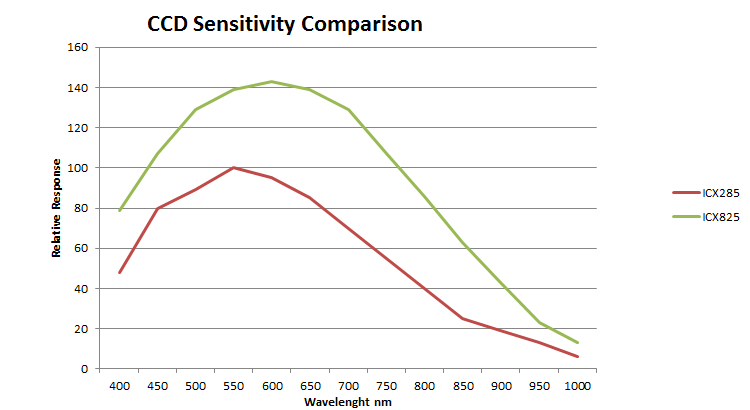 The CCD Atik Infinity is the first CCD camera dedicated to video astronomy that uses the Sony ICX825 sensor, evolution of ICX285, for outstanding sensitivity and Quantum Efficiency: this way you can see all your preferred deep-sky objects in real time on the computer screen! 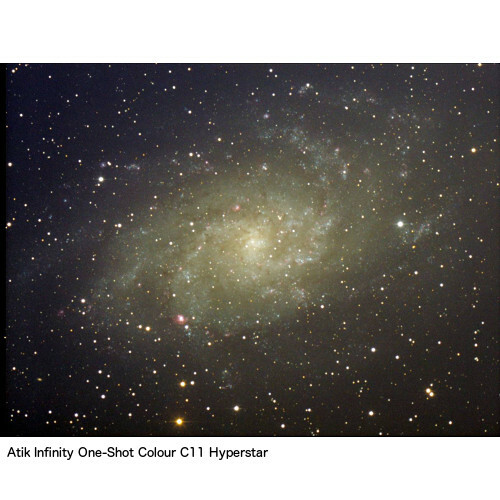 The Atik Infinity camera has both the speed and sensitivity required for this rewarding technique. Through our new, intuitive, in-house software, the Infinity brings the wonders of the deep sky to a screen in just seconds. Live continuous stacking removes background noise so you see more of what matters, and flexible histogram adjustments make sure you never miss a detail. Video astronomy is ideally suited for use in public outreach programs and educational settings. It allows faint objects to be seen in incredible detail by all involved, and maintains that ‘at the telescope’ feeling without the need to queue up and crowd round an eyepiece. With a choice of either a mono or a colour sensor, the Infinity caters for those who prioritise absolute detail, as well as those who want to explore the universe in colour beyond the sensitivity of the unaided human eye. But the Infinity is not only sensible. The passive cooling system which keeps the operating temperature in a satisfactory arrangements, in this camera you can not adjust the operating temperature. Calibration speaking, the room has such a low noise that record and subtract the dark is an option rather than an obligation! With its compact body, the Infinity can also be used with Fastar / Hyperstar configurations, not adding any obstruction. Its low weight also keeps to a minimum the effort on the corrector plate. Moreover, thanks to the RJ 12 you can also use it as a guide camera. Capture software is included for camera control and data acquisition, and plug-ins are included to allow use with Astroart and Maxim DL. A universal (110-230V) power adapter is optional. System requirements: Pentium III PC with 128MB RAM, Windows XP/Vista/Win7/Win8 (not RT), CD-ROM drive and USB 2.0 port. 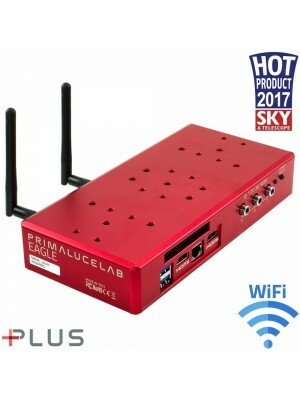 Innanzitutto, ancora una volta un elogio all'equipe di Primalucelab per gentilezza e disponibilità nel rapporto con il cliente. Per quanto riguarda il giudizio sul prodotto acquistato, devo dire che questa camera CCD sfoggia delle capacità sorprendenti di ripresa live grazie sia al suo sensibilissimo sensore sia alle performances del suo specifico software di cattura semplice da usare ma nello stesso tempo potente nel consentire la visualizzazione dopo solo pochi secondi di un tappeto di stelle con relative nebulose. Il mio primo test è stato utilizzando un rifrattore 80 mm a F/4,8 con cielo con inquinamento luminoso medio-alto. E' consigliabile usare in queste condizioni un flitro LP. In conclusione, mi sento tranquillamente di consigliarla a chi voglia fare riprese live anche da siti con inquinamento luminoso significativo utilizzando possibilmente riduttori di focale.